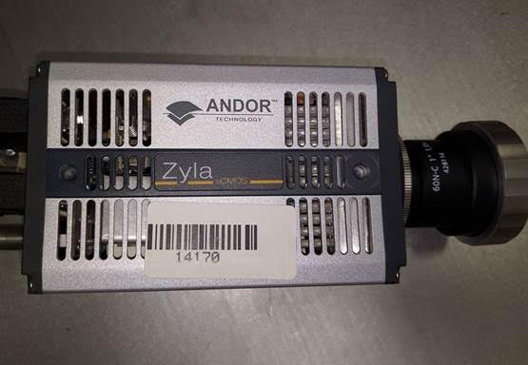 Zyla 4.2 PLUS is the latest sCMOS technology advancement from Andor. 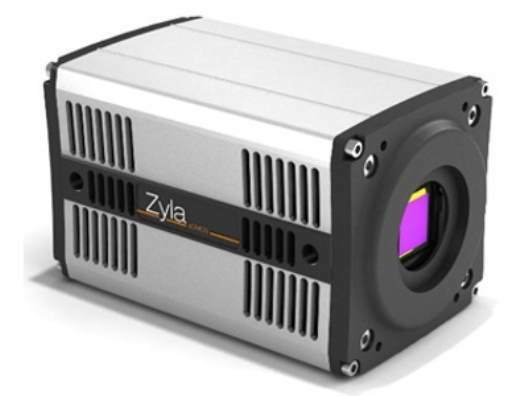 At its heart, Zyla 4.2 PLUS benefits from latest generation sCMOS sensor technology, delivering a further 10 % boost in QE, resulting in an unprecedented 82% QEmax. The broad QE profile provides excellent coverage of the visible/NIR wavelength range, highly optimized to a wide range of common fluorophores. Further innovation has also introduced industry-fastest USB 3.0 frame rates and industry-leading response linearity of 99.8%, for unparalleled quantitative accuracy of measurement across the full dynamic range. Zyla 4.2 PLUS is ideal for applications such as Super-Resolution Microscopy, Ion Signalling Microscopy, LightSheet Microscopy, Line Scanning Confocal Microscopy and TIRF Microscopy. 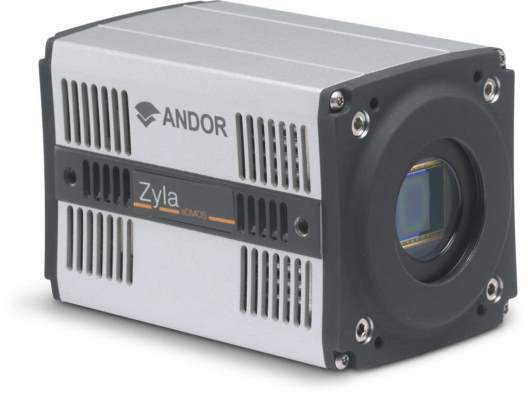 Andor’s NEW Zyla 4.2 PLUS sCMOS camera features the latest generation QE-boosted sCMOS sensor technology, alongside market-leading frame rate performance and new application specific modes. Offering the highest and broadest sCMOS QE profile available and ideally suited to a wide range of common fluorophores, the Zyla 4.2 PLUS is also uniquely speed-optimized to deliver full resolution faster than competing sCMOS cameras. New on-camera intelligence delivers a significant linearity improvement providing unparalleled quantitative measurement accuracy across the full dynamic range. Andor’s NEW Zyla 4.2 PLUS sCMOS camera features the latest generation QE-boosted sCMOS sensor technology, alongside market-leading frame rate performance and new application specific modes. Offering the highest and broadest sCMOS QE profile available and ideally suited to a wide range of common fluorophores, the Zyla 4.2 PLUS is also uniquely speed-optimized to deliver full resolution through a super-convenient USB 3.0 interface, 77% faster than competing sCMOS cameras. New on-camera intelligence delivers a significant linearity improvement providing unparalleled quantitative measurement accuracy across the full dynamic range. Andor’s Zyla sCMOS camera platform offers high speed, high sensitivity and high resolution imaging performance. 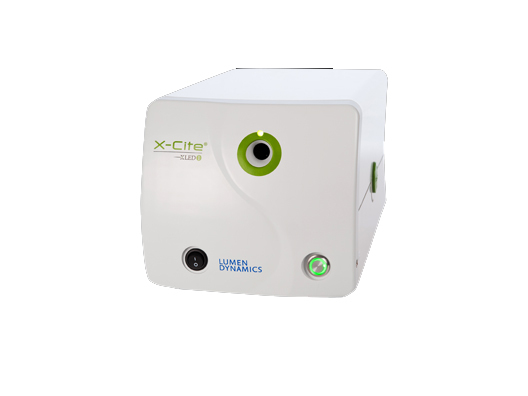 The remarkably light and compact, thermoelectrically-cooled design, integrates perfectly into both laboratory and OEM applications alike. Zyla is ideally suited to many cutting-edge experiments that push the boundaries of speed and sensitivity. The unprecedented value and flexibility of the Zyla means it is also redefining the concept of a ‘workhorse’ camera, rapidly displacing interline CCDs as the gold standard microscope detector.